The research shows that a huge majority (83 percent) of tweens (age 10-14) spend at least an hour online per day, compared with 68 percent reporting they watch an hour of TV per day. That’s big news for online products and services. A minimum of 40 percent of tweens reported using search to gather more info about products/services about which they’d seen an ad. Some 78 percent said they use Google most often; 14 percent cited Yahoo instead. Don’t forget about the social sites too now – Six in 10 visit social-network sites at least once a day. If you want to see all the fun charts and data, check out this Marketing Charts site. 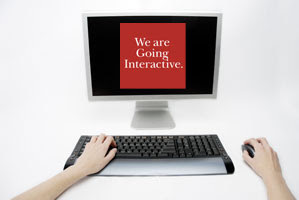 All in all, if your audience is upcoming tweens (who are some of the first to grow up being on computers) then give Going Interactive a call or email to get the conversation started.